I really like this handbook – it is one of those ones that isn’t just a picture of a character and a summary of who they are. It is done in a very clever way. It feels like we are looking through the character’s eyes at his desk and what he is seeing. 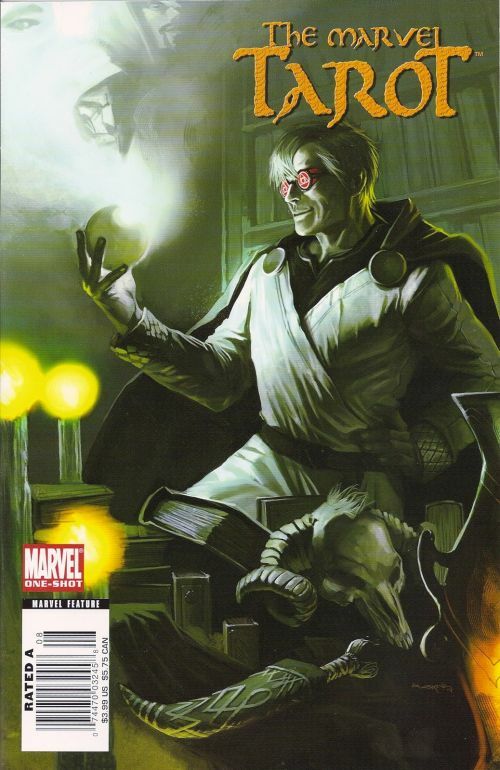 The jist of this issue is that Ian McNee, a sorcerer, has this Tarot Deck that was given to him by Doctor Strange. He has had it for a decade and now he is noticing that magic is falling apart. This issue serves as a jumping on point for the Mystic Arcana series of one shots. I own only a few of them. This one, the Magik issue and the proper Handbook. There is this cool opening page of the four elements and Magik represents air. Black Knight is Earth. Scarlet Witch is Water. Sister Grimm is Fire. 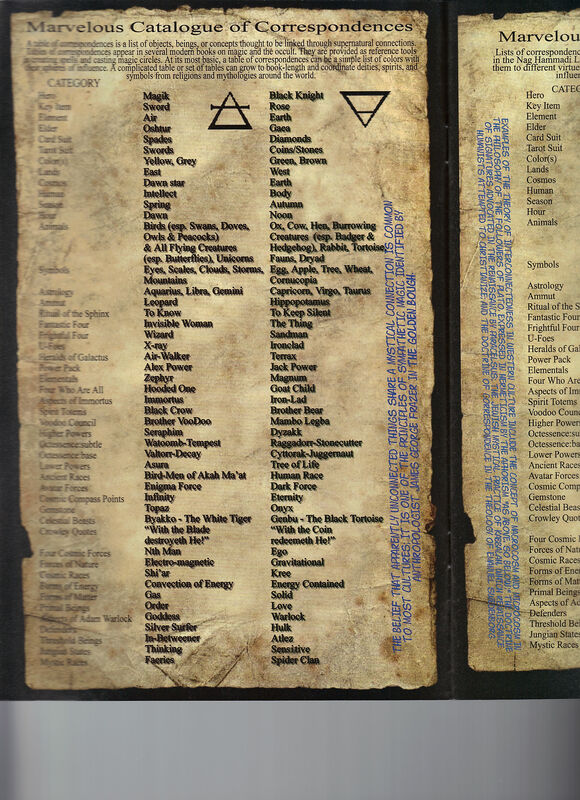 Magik’s Limbo and the Winding Way are referenced as The Archipelago of Anguish and Redemption. The Winding Way gets its own page. On it, Amanda Selfton, her mother and Nightcrawler are referenced. Amanda’s time as Magik is mentioned, as well as, that her tenure in the role may be coming to an end. Which it really is. 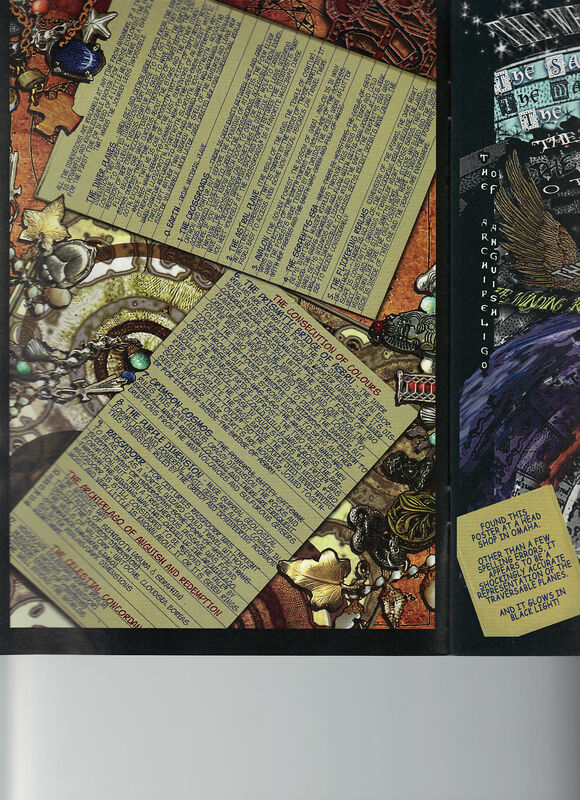 Then on page 31, we see that Magik is the face on the Justice card. Except for when it is Valkeryie, both characters were dead at the time, so is unsettling. 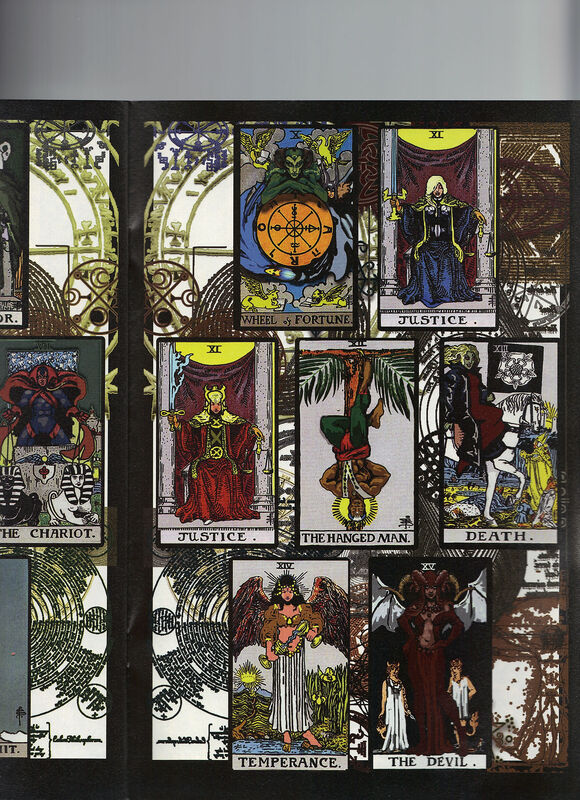 Here is the collection of the Tarot cards that has Magik on it. There is some simply amazing art in this. The rest of the issue is pretty interesting as well. I am not much of a magic type of reader but even trying to skim the issue just for Magik references, there is a lot of time and effort that went into designing this issue and researching it as well. 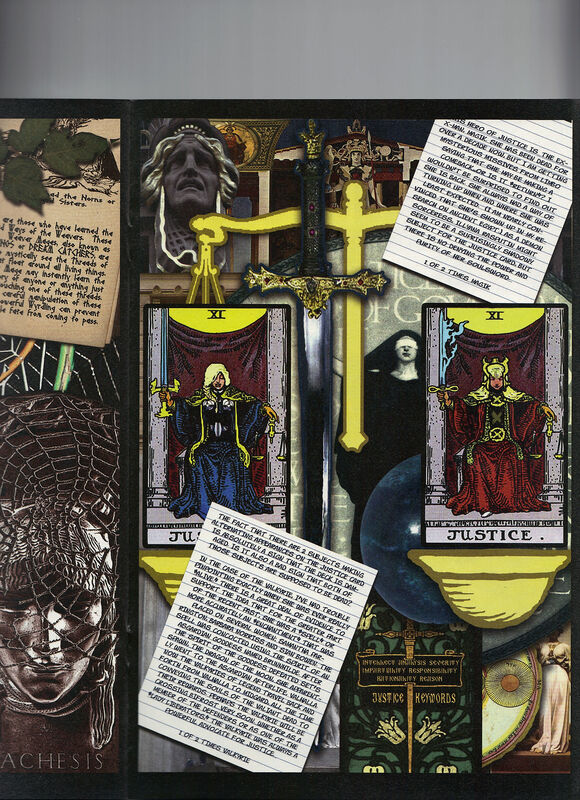 On June 21, Ian McNee first notices the Tarot cards are broken. 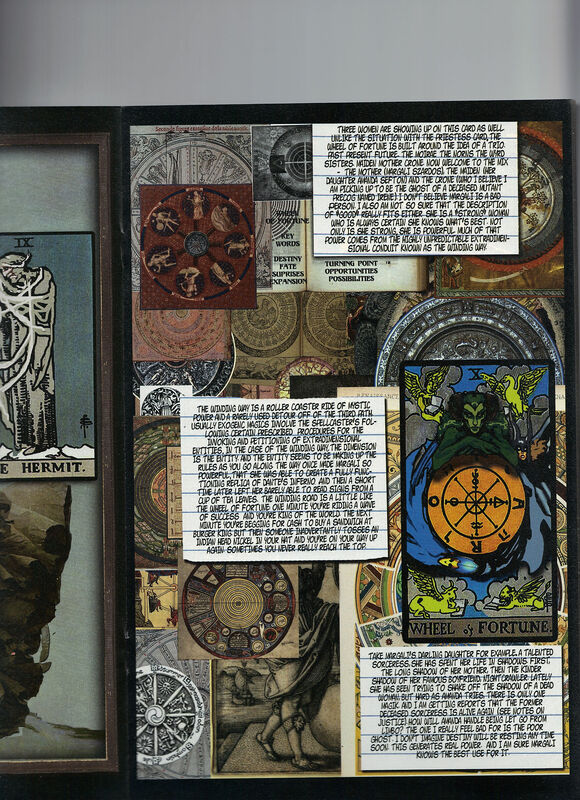 On July 7, 2007 – he starts doing the research into the cards and keeping track of it in his journal.